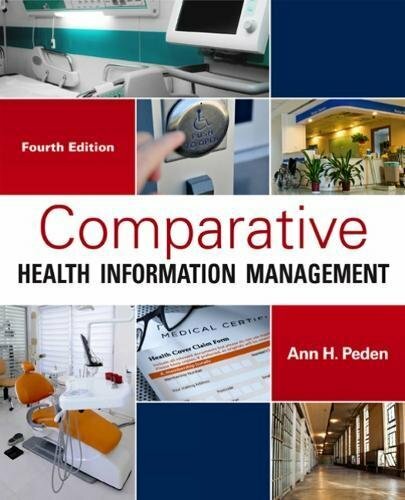 1285871715 -Break into the exciting field of HIM with COMPARATIVE HEALTH INFORMATION MANAGEMENT, 4e! Whether you see yourself working in a hospital, clinic, or office, this text can help you find the ideal career. Chapters explore a variety of settings, including hospitals, ambulatory clinics and medical offices, veterinary practices, home health, long-term care, and correctional facilities, as well as emerging practice areas in professional consulting and cancer registry. Focused on the challenges of managing and protecting the flow of information across sites, this updated text introduces you to the health care system, then walks you through the many HIM roles available to you, infusing discussions with key terms, self-test questions, web links, and illustrations that add meaning to concepts. Features include realistic case studies to help you solve problems, while new “Professional Spotlight” vignettes give you an insider view of actual professionals in their HIM careers.